"Beautiful, comfortable house and amazing location! We have had the most wonderful holiday. Thank you, we hope to come back." Jo and Peter Edwards, August 2014. 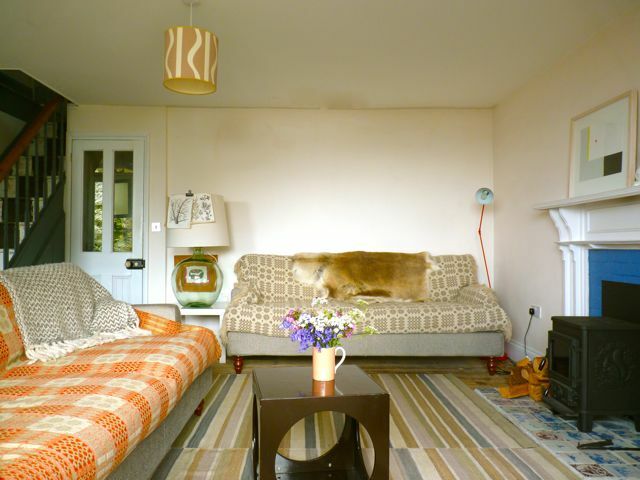 Large Sitting Room with huge sofas and a wood burning stove. Garage and pretty, enclosed front garden. is beautiful, sheltered and clean, safe for swimming, diving, kyacking and fishing. 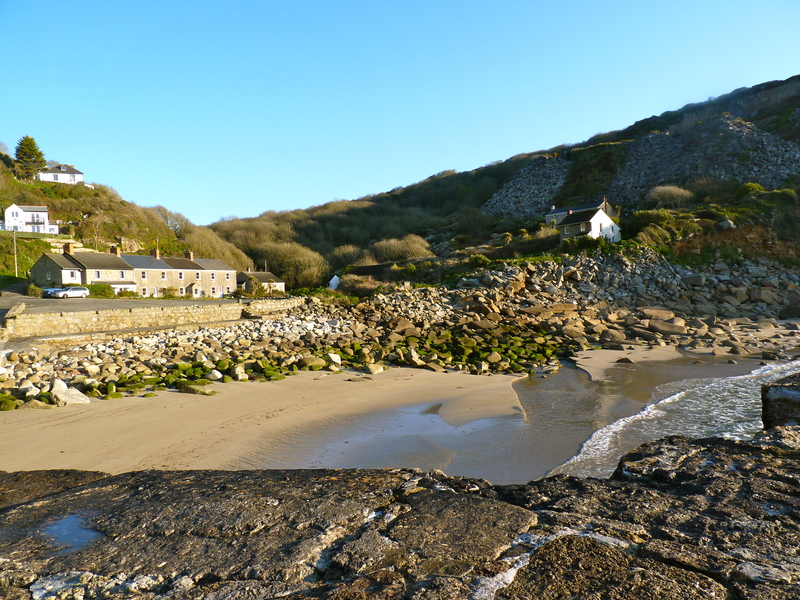 From the house's large front windows you will see diving birds and seals that come to feed on the turn of the tide, the Scilly Isles ferry and fishing boats coming and going from Newlyn. 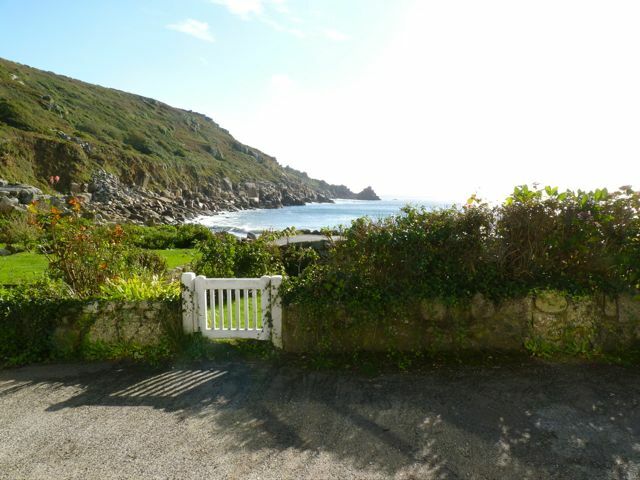 The Cornish coastal path runs past the front door. One visitor spotted a whale, but I can't vouch for it. There are stunning, uninterrupted sea views from the Sitting Room bay window, two enormous sofas and a wood burning stove. 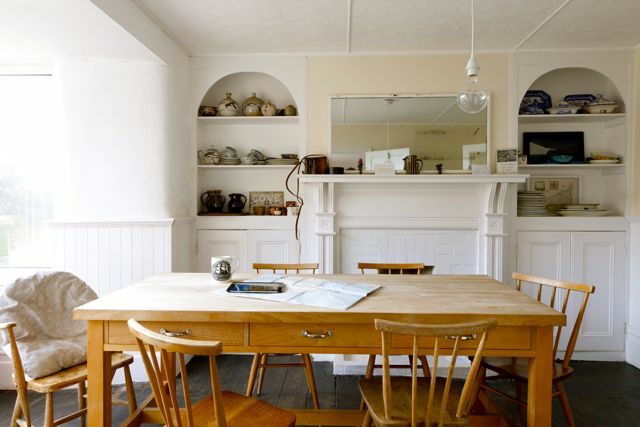 The Dining Room has another large bay window looking at the sea. The alcoves hold ceramics from the Leach and Cardew Potteries. Lie in bed and watch the sea each morning when you wake. 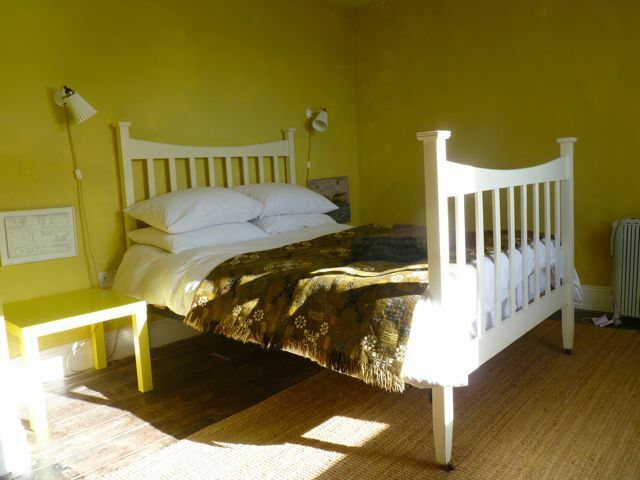 All the bedrooms except the Bunk room have sea views. is terraced on three levels. 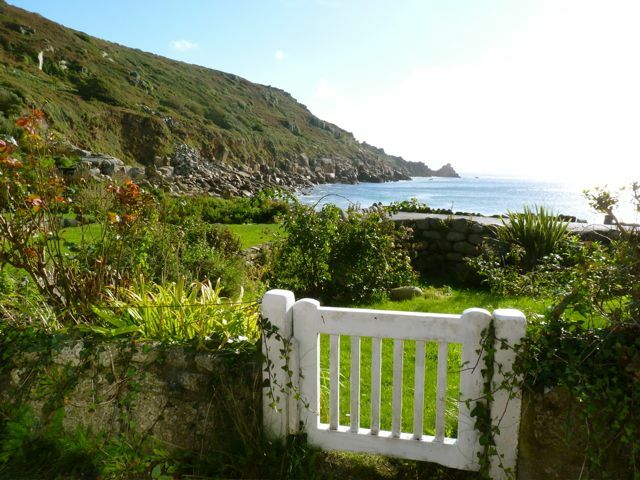 A garden seat just inside the gate faces the sea. really is this colour. 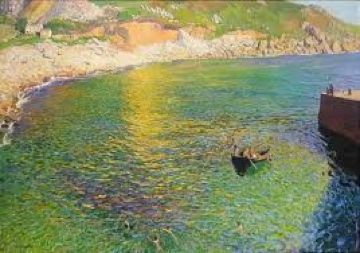 Dame Laura Knight painted the cove in 1919, a deep, clear greenish turquoise. 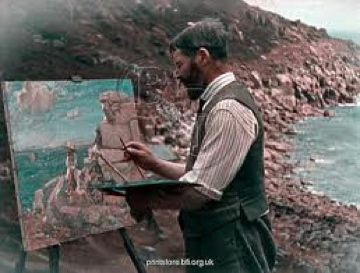 "Lamorna" Birch painting the rugged natural granite coastline here in the early 20th century, the view is unchanged.